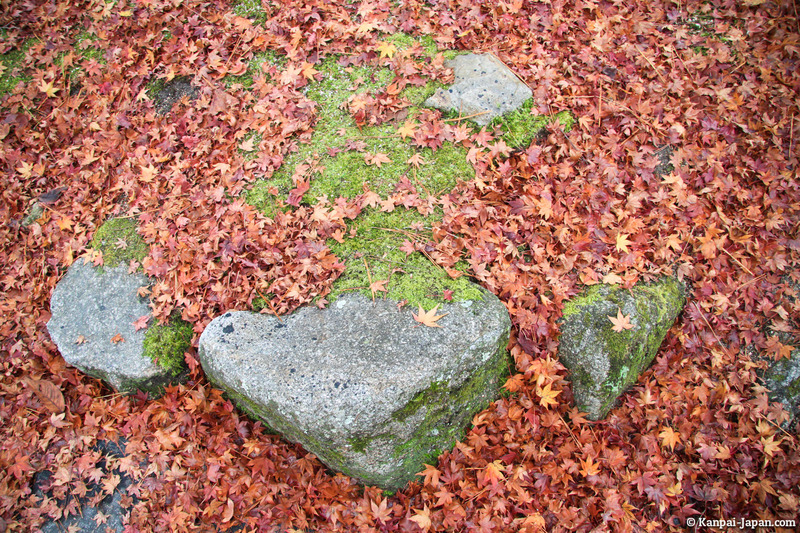 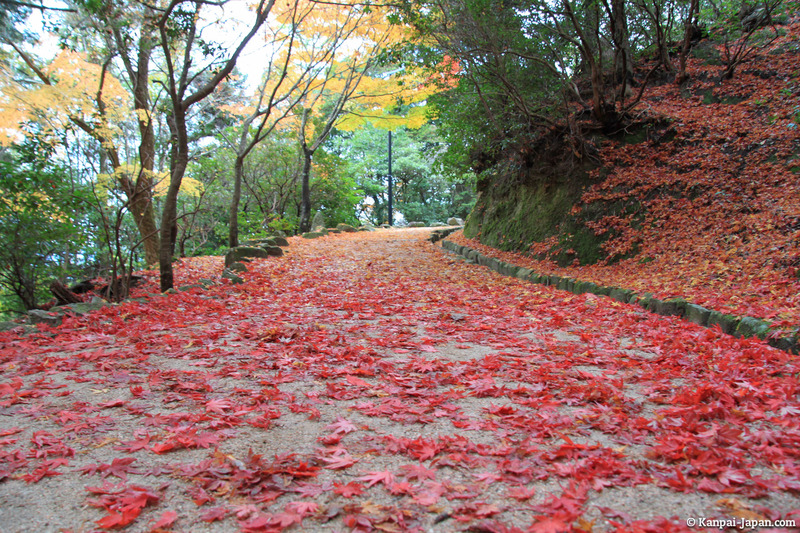 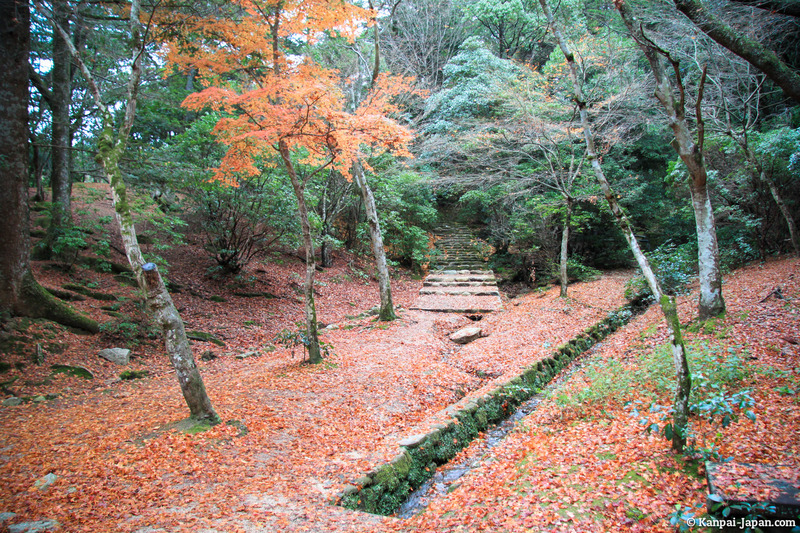 Momijidani, located on the famous Miyajima island, is one of the most famous momiji (maple trees) parks in Japan. 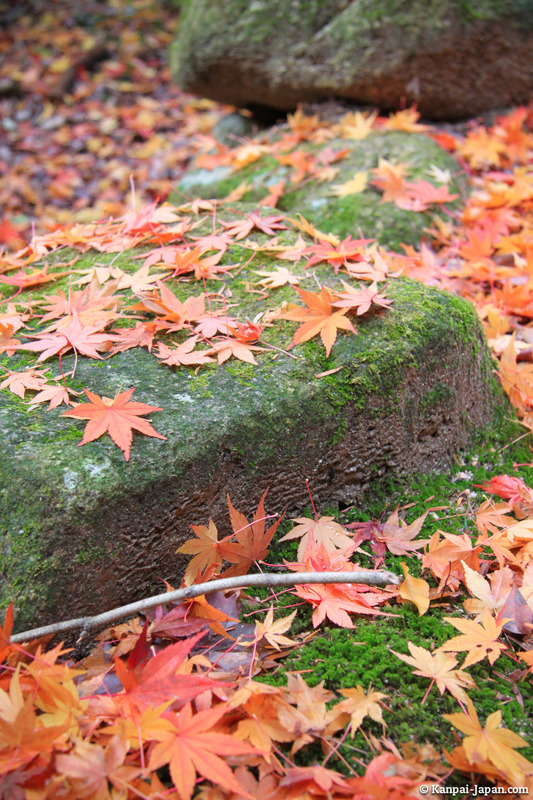 In Japanese, "Momiji-dani" literally means "maple valley". 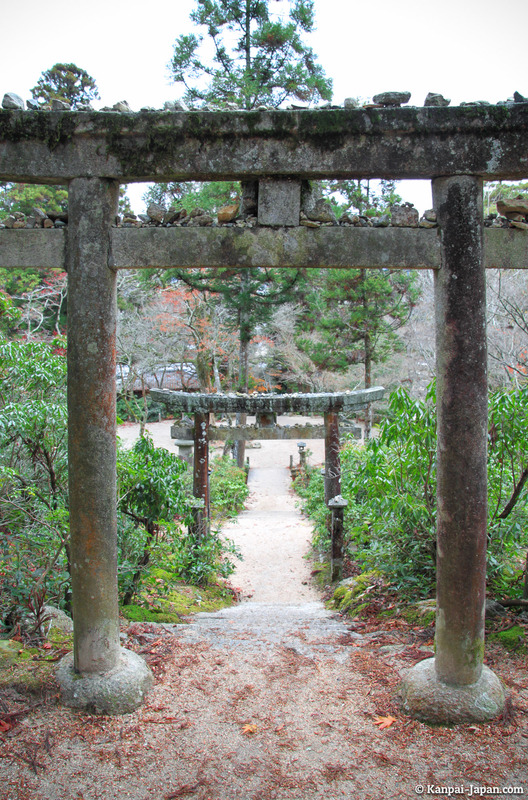 Momijidani park is part of the classical tourist circuit on the island, since its paths are inevitable between Itsukushima Shrine (with its floating torii) and Mount Misen. 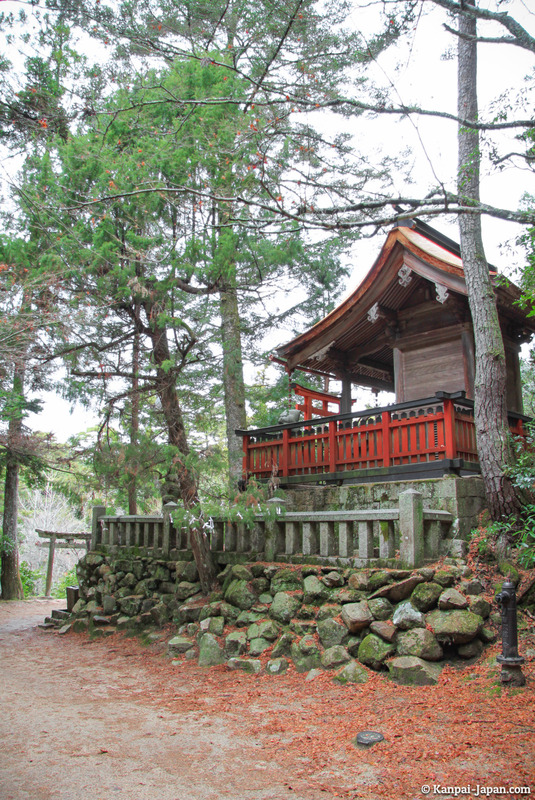 I suggest you visit the park before ascending by cable-car or by the trail, but after a hook by the sublime Daisho-in temple. 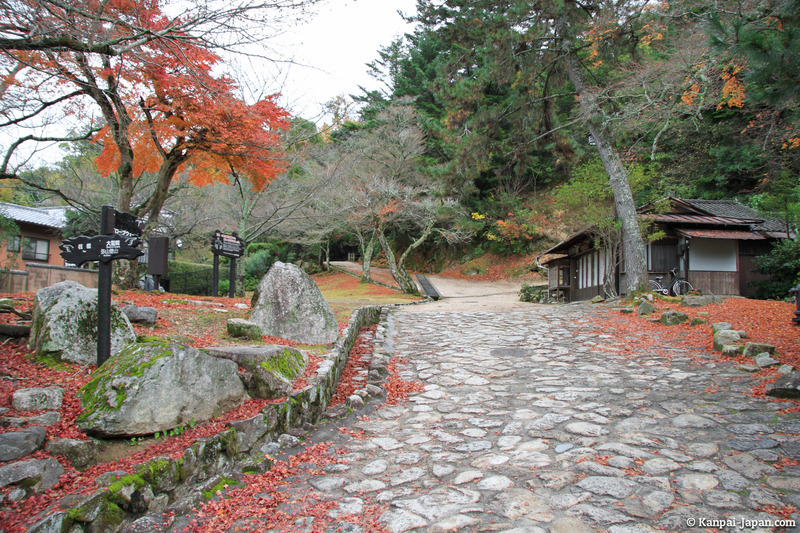 Beautiful in all seasons, Momijidani is obviously even more stunning during fall with its thousands of red momiji leaves. 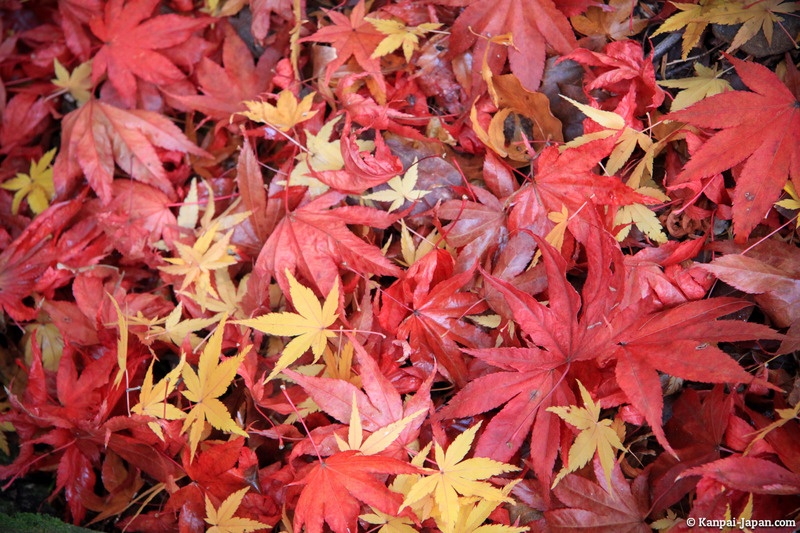 There are nearly two hundred maple trees in the park, with a majority of acer palmatum. 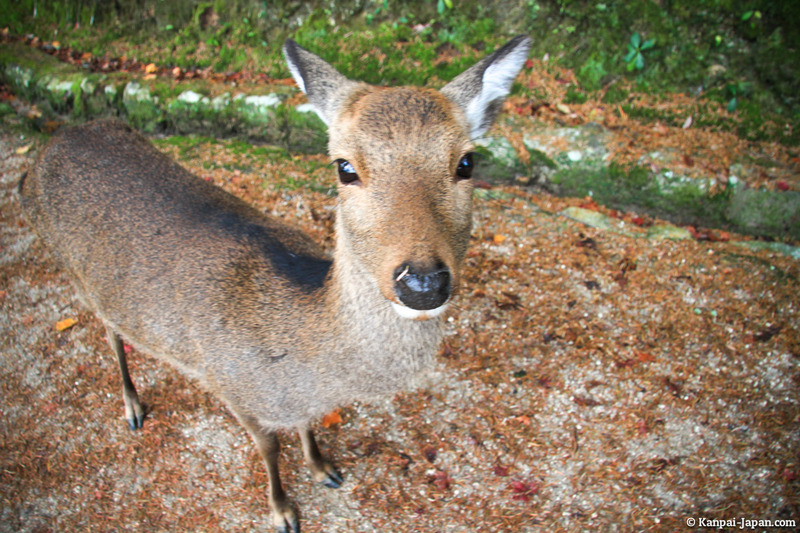 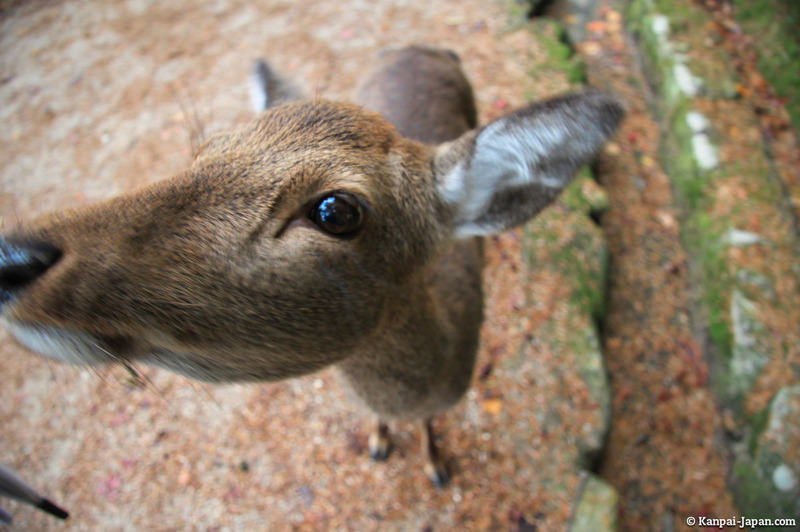 Walking in Momijidani is also an opportunity to encounter more deers, just as curious as those down on the pier near the ferry. 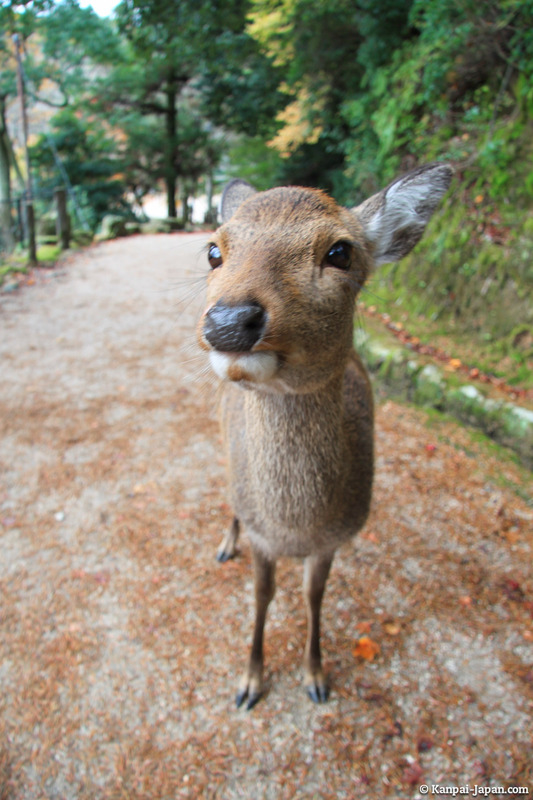 If you want to approach them without risking loud "kawaii!" 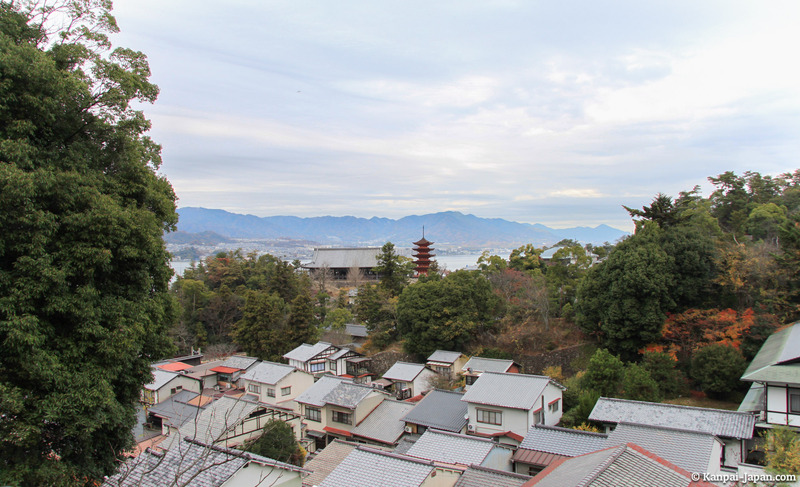 shouts from young Japanese women, prefer the calm of Momijidani where they are more isolated.